Stand out from the crowd with our custom notebooks. Upload your favorite picture and make your own notebook. Create truly unique and original, personalized notebooks. A sturdy and convenient notebook. Custom notebooks are the perfect accessory for your work, your studies or just for the pleasure. 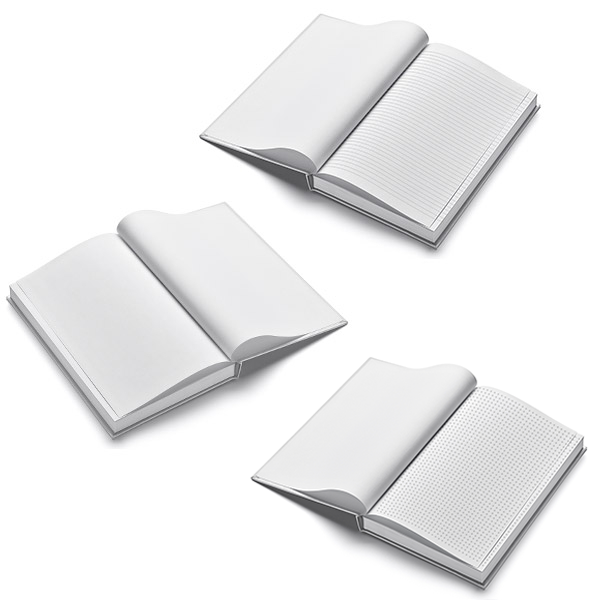 We have put three types of paper at your disposal to match your needs. Graph paper, with its grid, is ideal for mathematical calculations, two-dimensional graphs or even simple writing. Lined paper is perfect for writing or note-taking, and our blank paper version is perfect for sketching and drawing. Furthermore, these custom notebooks are made with a hardcover, allowing you to draw anywhere without the need for a surface to place it on. 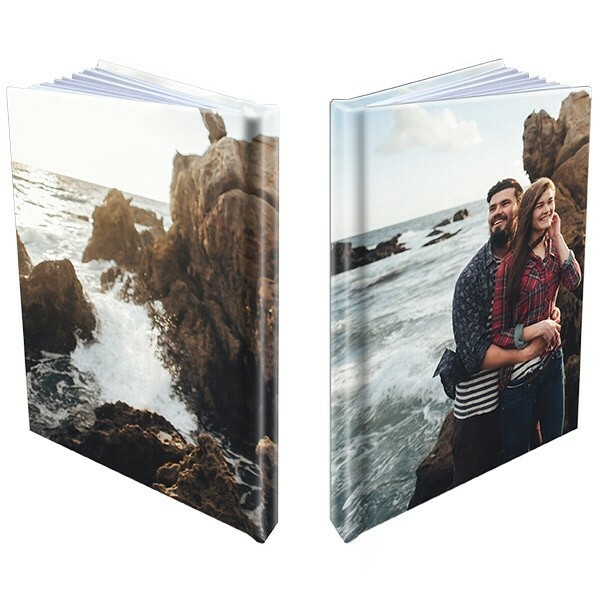 The A5 format will allow you to take it with you anywhere and the cover is smooth and allows you to print your picture on both the front and back of the notebook. Convenient isn't it? Creating your own custom notebooks is very easy! How to make your own notebook? Creating custom notebooks is child's play with GoCustomized, as only a few steps are required. Start by choosing the type of paper you want. You can choose between graph paper, lined paper and blank paper. Then, click on "Design now". Upload your favorite picture from your computer, phone or social media account. You can choose whatever picture you want ensuring that you get a unique and perfect product made especially for you. If one picture is not enough, you can change the layout to add more pictures and make a collage with all your greatest memories or favorite designs. If you lack inspiration, use our pre-made designs and templates, we've got a lot to offer. Finally, add some stickers, text or a filter for the final touch. You 're done! 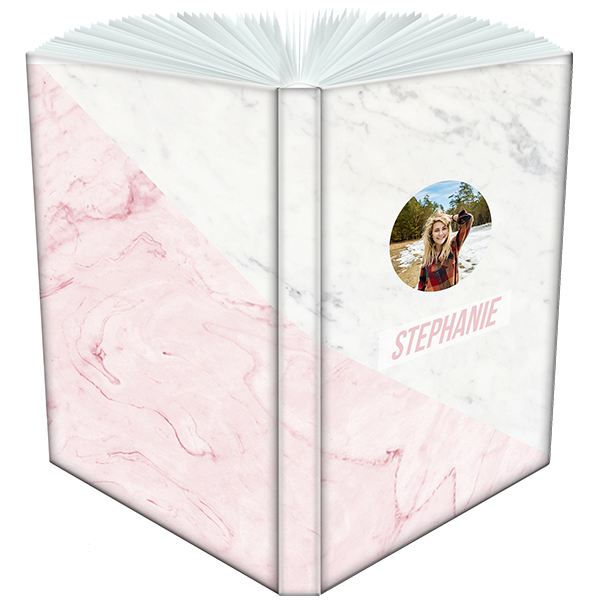 Place your personalized notebook in the cart and proceed to the next step. Are you done designing your personalized notebook? Perfect! Then click on "proceed to checkout". You will need to fill in your address, your shipping, and your payment method. Do you have a discount code? Then you can apply it on the same page. Once you are done, agree to the General Terms and Conditions and place your order. You will then be directed to the payment page. Now it's our turn! We produce and ship all custom notebooks your order within 24 hours of purchase. If you have any questions about our custom notebooks or any other issues, don't hesitate to contact us at support@gocustomized.com, we will be pleased to help you.